To view our general contact information please visit the contact page. Cathy was born in Alaska and spent her early professional life in the fishing industry. Her first fulfillment successes were with traditional mail-order catalogers. She now leads the way in Internet-based, ecommerce fulfillment as the co-founder and president of Crystal Creek Logistics. Her demonstrated proficiencies include call center management, facilities management, packaging design and development, hiring, catalog development, turnaround management, and customer retention program development. 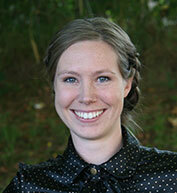 She enjoys photography, painting, repurposing items into art, and playing soccer. Watch a video on Crystal Creek featuring Cathy Hayward-Hughes. 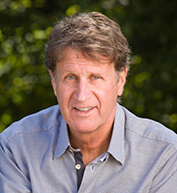 Since graduating from Western Washington University, Mike has accumulated over 30 years of experience in sales, marketing and business development. In 2008, Mike chose to pursue the fulfillment industry and hence became Co-founder of Crystal Creek where he is the Vice President of Business Development & Strategic Planning. An entrepreneurial spirit at heart, Mike has found an industry that is evolving, interesting, and ever changing! When not working, Mike can be seen running and mountain biking the many trails of Chuckanut and Blanchard Mountains. Mike also enjoys skiing and traveling. A self-proclaimed ’Jack of All Trades, Master of None’, Lin enjoys taking on new challenges in all phases of operations and fulfillment. Her job title, Information Specialist is deliberately vague as her primary role is to gather info, learn and share info and to distribute info to her colleagues and clients – she says ‘my only job is to make yours easier’. Lin is Crystal Creek Logistics’ first employee and has been on board with Cathy and Mike in this journey almost from the beginning. After earning a BS in Business Administration from Central Washington University, Lin gained business and life skills in a variety jobs from charter fishing deckhand to marketing manager, from retail management to restaurant management. In Lin’s free time she enjoys running, biking, swimming, hiking, and paddling with friends. Mary joined CCL not long after its foundation and has been a part of the family ever since. Her background is in business management and she is passionate about helping businesses of all sizes to succeed through project organization and planning and by being a creative partner in solving efficiency puzzles. This creative spirit follows her outside of the office where you will often find her in the kitchen, experimenting with new recipes, or in the shop, building art for her walls. 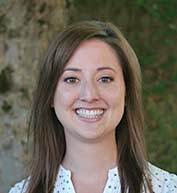 Shelby is a Business Marketing graduate from Western Washington University that came to Crystal Creek in 2010 shortly after her graduation. She grew up in the Pacific Northwest and loves to stay physically and mentally active. Shelby’s not afraid to speak her mind and is willing to do what it takes to help the company succeed. Her favorite part of being an Account Manager is the close relationships she gets to build with the clients and her work family. 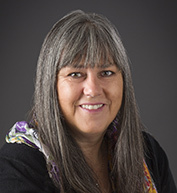 Dana has a background in project management, business analysis, and process improvement. She enjoys delving into systems to figure out how they work and bringing people together to solve problems. At Crystal Creek, Dana has most enjoyed getting to know her fabulous coworkers and learning all about the incredible products her customers offer. In her spare time, Dana backpacks with her kids, experiments with paleo foods, plays with her beagles, and works in her garden. Kyle graduated Western Washington University in June 2016 with a degree in Business Management. Using his background of marketing and operations, Kyle looks to leverage his experience and diverse skill set to further develop Crystal Creek’s capabilities. An avid outdoorsmen, Kyle feels strongly about preserving the environment to ensure future generations will get to cherish all nature has to offer as he did. Kyle enjoys mountain biking, kayaking, hiking, snowboarding, soccer, fishing, and pretty much everything that offers a breath of fresh air and a splash of excitement. Patty grew up near Boston and made her way west working for the National Park Service and graduated from WWU with a BS in Geology. 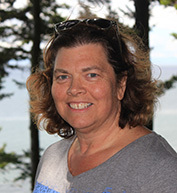 After working for the National Park Service for many years, Patty and her husband David moved to Lopez Island and then to Whatcom County to raise their two boys. She has since focused her career in the world of Bookkeeping and Office Management, working with several nonprofits and small businesses. 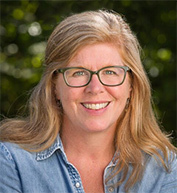 Patty is thrilled to be joining the Crystal Creek team allowing her to creatively use these skills while working for a sustainability-focused company. 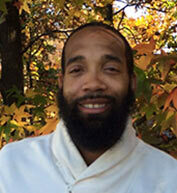 Raymond joined the East Coast Crystal Creek team in Richmond, VA in October of 2013 and was promoted to Supervisor of the operation in October of 2014. He has supervised in the warehouse industry for 10 years complemented by experience in inside sales. Raymond’s strong work ethic and dedication to quality earned him a nomination for Warehouseman of the Year in 2014. When away from work Raymond enjoys spending time with his wife and children. He also spends his spare time volunteering for local organizations including coaching football, baseball and basketball. 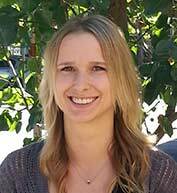 Sarah joined the Hastings Crystal Creek team in December 2013. After two years, she became an Account Manager and was promoted to Facility Manager in May of 2016. Sarah has a strong background in shipping and administration and enjoys working as part of a team while tackling new challenges with a solution-focused, positive attitude. 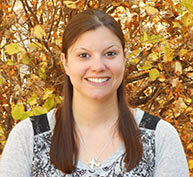 A few years after earning her degree in her hometown at the University of Northern Colorado, Sarah moved to Nebraska where she has fallen in love with the small-town atmosphere and strong sense of community that Hastings offers. When not at work, she enjoys spending her time with her husband and their three children who share a love of camping, fishing, classic cars, golf and football. 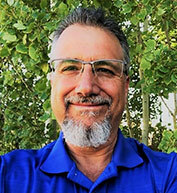 Mike Joined the Reno Crystal Creek team in July 2018. He is a graduate of the University of Nevada, Reno and a Nevada native. Mike has a diverse operations background managing for over twenty years in both the private, nonprofit sector and in warehousing and distribution. He loves a challenge, and the feeling of a job well done through collaboration, teamwork, and creative problem solving. Mike feels that his people-centric management style and love of nature and preservation of the environment make Crystal Creek, with its family first culture, an ideal setting to make a living – and to make a difference. Mike loves spending time with his wife and children, especially in the Sierra Nevada mountains. Camping, hiking, swimming, cooking and supporting Nevada athletics are his favorite pastimes. Terry has over 30 years’ experience and a diverse background in logistics and operations management. His experience includes retail, catalog-mail order, national home delivery and ecommerce. Terry consistently looks for improvements through efficiency and technology and takes great pride in streamlining operations. He meets challenges head-on utilizing his and his coworkers’ knowledge and experience, technology, instincts and the tools available to him. He believes his successes are a result of leading by example, best practices training, collaboration and teamwork and building functional, self-directed teams. 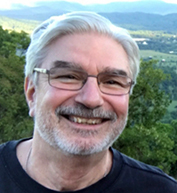 Terry loves spending time with his family, enjoys antiquing with his wife and spending time in Virginia’s Shenandoah Valley. He has recently become a bird watcher and looks forward the northern migration of hummingbirds each spring. He has a passion for animals having rescued 3 dogs and 8 cats from shelters in the past 15 years and is a supporter of the ASPCA and the Humane Society of the United States.